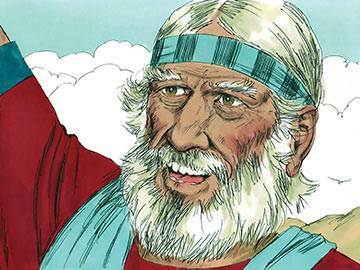 For another story about Joshua, see this lesson in audio-visual format. 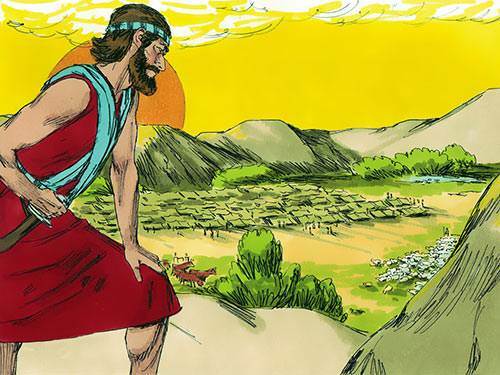 We know very little about Joshua’s early life, except that he was born in Goshen, in the land of Egypt; he was the son of Nun, an Ephraimite; he was in the twelfth generation from Joseph; and he was about forty years old at the time of the Exodus. He is styled as the ‘servant of Moses’, and following Moses’ death is appointed by God to lead the children of Israel into the Promised Land. In the call and commission of Joshua, God gives him two promises: (1) that he would possess the land of Canaan, and (2) that God would be with him and would never forsake him. The Lord directs him (Josh. 1:8) to the secret of success—meditation in the Word of God. It was this more than any other single thing that made Joshua the great leader he proved to be. Doubtless, you know how to read the Bible, study the Bible and even memorise the Bible—but do you know how to meditate in it? Research shows that only 1 in 10,000 Christians understand and practise the principles of meditation. Take a moment to turn to this page and see what meditation is all about. Although Joshua is a man of faith, he is also a military strategist. Before setting out to invade Canaan, he dispatches two of his men on a special reconnaissance mission. Joshua himself had taken part in a similar spying mission many years prior to this, but he now wanted an up-to-date report of the condition of the inhabitants, and especially of the defences that surrounded the city of Jericho. While in Jericho, the two spies stay in the home of Rahab the prostitute, who informs them that because of the news that the Israelites are about to invade the land, the morale of the inhabitants is extremely low. 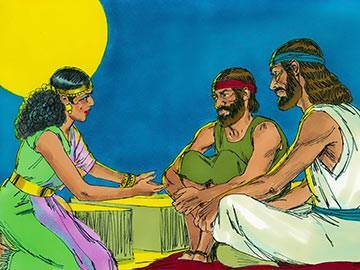 In response to Rahab’s plea for protection and safety, the spies give her the promise that she and her family will be saved. Some feel that Joshua’s act of sending in spies to view the land of Canaan was an action that sprang from doubt—but this is hardly so. Faith is a partnership between us and God: we do the possible—He does the impossible. Without doubt, one of the greatest tests of Joshua’s faith was the crossing of the Jordan. 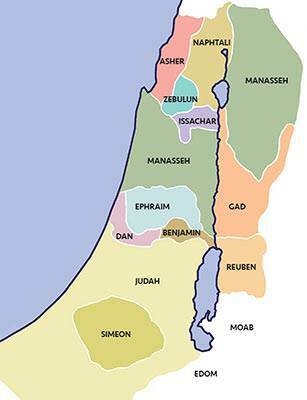 After forty years of wandering in the wilderness, Israel arrived at the Jordan when it was in flood! Six months earlier—in the dry season—the crossing would have been much simpler, but now it was obvious they needed divine help. However, as soon as the feet of the priests who were carrying the ark touched the river’s edge, the waters rolled back, allowing the whole of Israel to cross over into Canaan—dry-shod. The miracle served to set God’s seal of approval on Joshua, and demonstrated once more to the nation of Israel that God was with them. 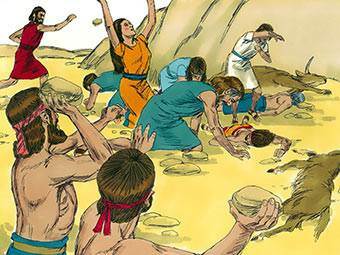 Later God commands Joshua to raise a memorial in stones at Gilgal so that they have a permanent reminder of God’s faithfulness in bringing them into the land. If the priests had waited for the waters to recede before stepping out, they would never have experienced a miracle. They had to get their feet wet! Whatever may be your ‘Jordan’ at the present moment, walk right up to it in simple faith. Then—watch it recede. 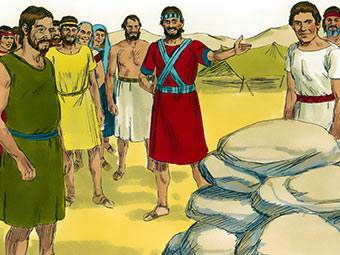 Now that the Israelites were in Canaan, it would have made good military sense to move straight ahead and take immediate possession of the key city of Jericho. But God had another plan. First, all the males had to be circumcised, and having done this, God tells Israel that the reproach of Egypt is now rolled away (5:9). 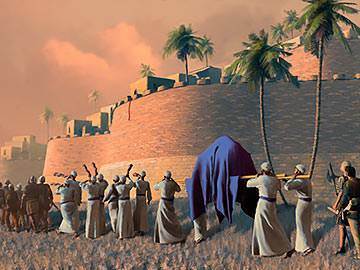 When the Israelites have recovered from the act of circumcision, some days later, Joshua leads them toward Jericho. 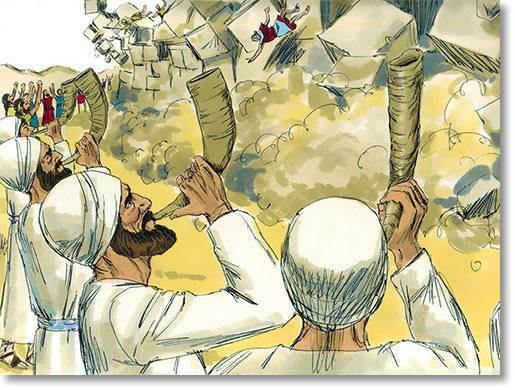 The priests carry the ark around the city for seven days, and on the seventh day they blow a blast on their trumpets while the people give a loud shout, and the great walls of Jericho come tumbling down. Only one part remains intact—the part which contains Rahab’s house. As promised by the spies, she and her family were miraculously saved. An important key to victorious Christian living is the necessity of learning to shout, not after the walls of difficulty have come down, but before. If you are in need of some deliverance from the power of Satan, then, as well as praying, try the shout of praise. Things happen when God’s people praise Him. The success at Jericho is followed by a great defeat at Ai. After hearing the report of the spies, Joshua decided to send only 3,000 men to conquer the city of Ai, but the army was outnumbered and routed. 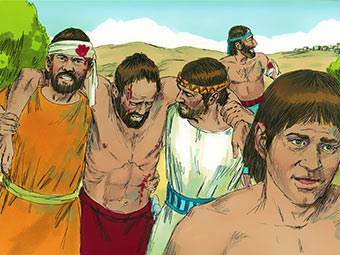 Joshua is devastated by the news, and as he pleads with God for an explanation, he is told that there is sin in the midst of the camp. 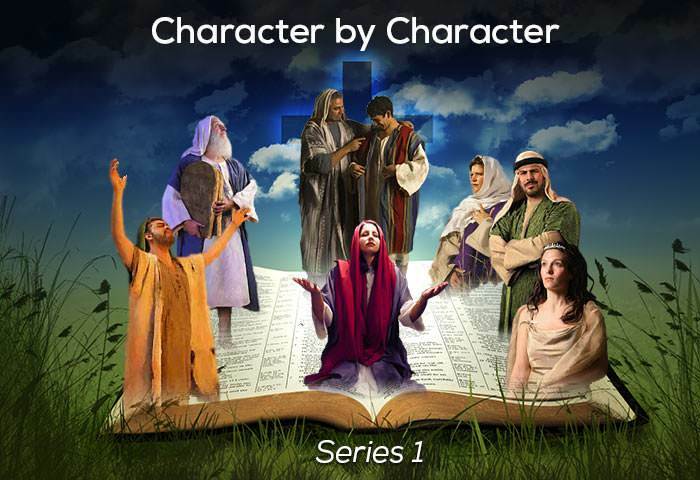 One of the soldiers of Israel—Achan—had kept for himself some of the treasure which had been forbidden by God, and it is only when he and his family are put to death that God’s anger is appeased. 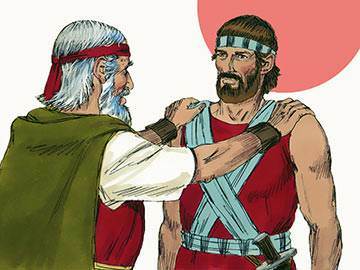 The sin now put away, Joshua is told by the Lord that he can go forward and Ai will be given into his hands. 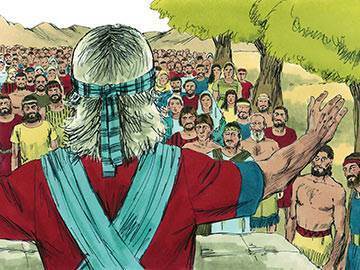 At the close of this victorious expedition, Joshua holds a great service of thanksgiving on Mount Ebal. If only we could deal as drastically with our own sin as God dealt with Achan’s, what a transformation it would bring into our lives—as well as that of our local churches and fellowships. One thing is sure: if we do our part in confessing, God will do His part in forgiving. 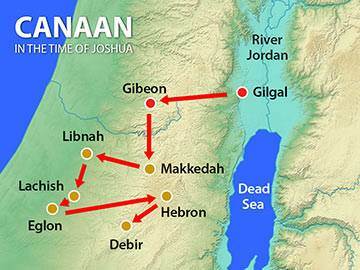 The result of Joshua’s southern and northern campaigns was that the whole of the land of Canaan was brought under control—a process which took about seven years. After all the battles have been fought, he invites the nation to send representatives from each district of Canaan, and the division of the land is settled by the casting of lots in a special assembly at Shiloh. 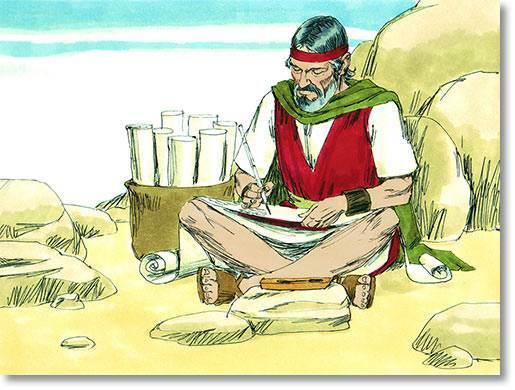 We do not know for sure what each one’s portion was, but when Joshua had allotted territory to all the tribes, he kept for himself a modest piece of land among the hills of Ephraim. Joshua is thought to have been about ninety years of age when the land was divided, although he lived for a number of years at Timnath-serah—which means ‘the portion that remains’. There are many on this earth who, after doing a great work for God, seem to get little reward. Someone has put that truth in these words: “First in service; last in reward.” Is that true of you? Then take heart—a day of reward is to come, and then you will be paid in full. Prior to his death, Joshua hears that not everywhere is the Lord the uncontested King of Israel. The great soldier returns to fight once more—this time with words instead of a sword. He calls together a great assembly at Shechem and there, in a tremendously moving speech, rehearses for them the plan of God. He reminds them how God brought them out of Egypt and fulfilled His promises to them, and brings them finally to a point of decision: “Choose for yourselves this day whom you will serve” (Joshua 24:15, NIV). 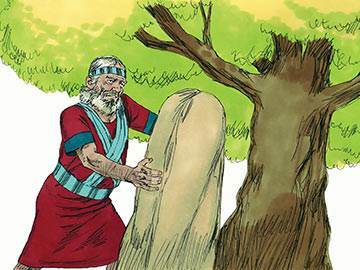 To ratify the decision which the people then made, Joshua writes the words, “We will serve the Lord our God” in a book and then, taking a stone, sets it up under an oak tree as a memorial of their recommitment to God. 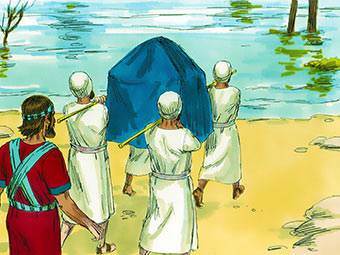 This was the last recorded act of Joshua, who died at the age of 110 years. One of the great uncertainties of life is that we are constantly called upon to choose. And the choice of one thing often involves the putting away of another. Are you being half-hearted in living for Christ? Then choose now—this day—whom you are going to serve! Joshua, in his willingness to play ‘second fiddle’, showed his true strength of character, for before one can rule well, one must know how to serve well. When the time came for him to become the leader of Israel, he showed himself to be a great soldier and diplomat. He showed, however, not only the valour of a warrior, but the justice, gentleness, forbearance and humility of a great ruler. Probably the most outstanding characteristic of his life—and one that we ought to emulate—is his unselfishness. It was his utter indifference to all selfish considerations—as evidenced by his willingness to leave himself to the last in the dividing of the land—that marked him out as being what someone described as a ‘soldier-saint’.